Light pollution changes the lighting levels by night and is caused by anthropogenic sources of light. This side effect of our industrialized civilization is an analogy to added sound or carbon dioxide. 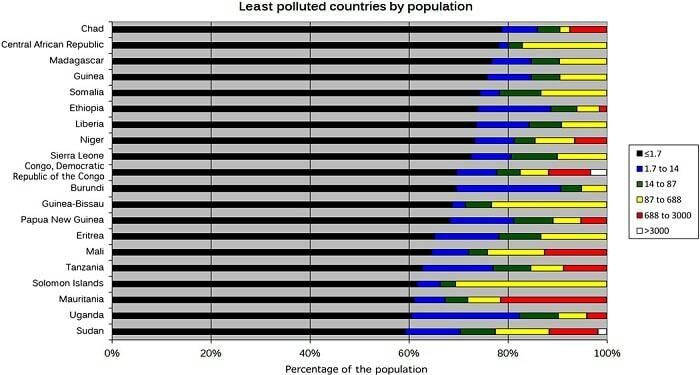 Of course, cities are the main sources when it comes to light pollution. 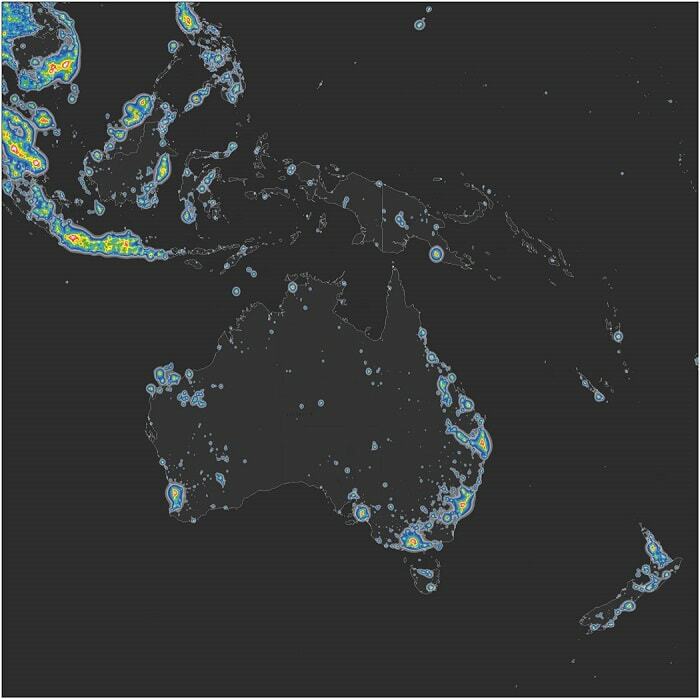 One of the most extensive light polluting studies “The new world atlas of artificial night sky brightness” with several maps and statistics has been published recently. 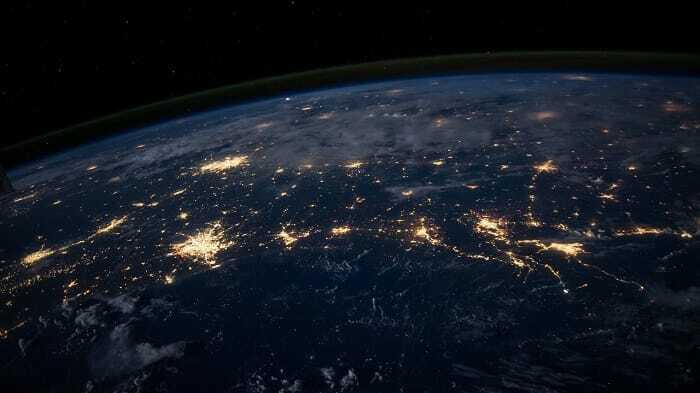 A group of scientists from Italy, Germany, USA, and Israel prepared detailed maps of artificial sky luminance with the help of high-resolution satellite data, light pollution propagation software, and new precision sky brightness measurements. More than 99 percent of the U.S. and European populations live under light-polluted skies. Actually, light pollution can be observed hundreds of kilometers from its source. Even pristine landscapes around urbanized areas are affected. 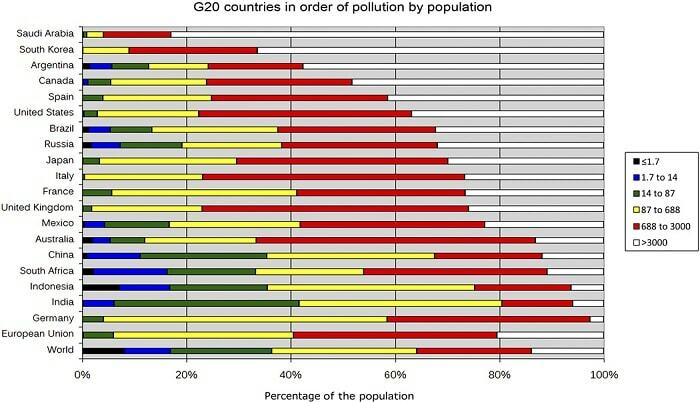 Small increases in aerosols often lead to greater pollution near and inside cities. Related: How to recycle LED? 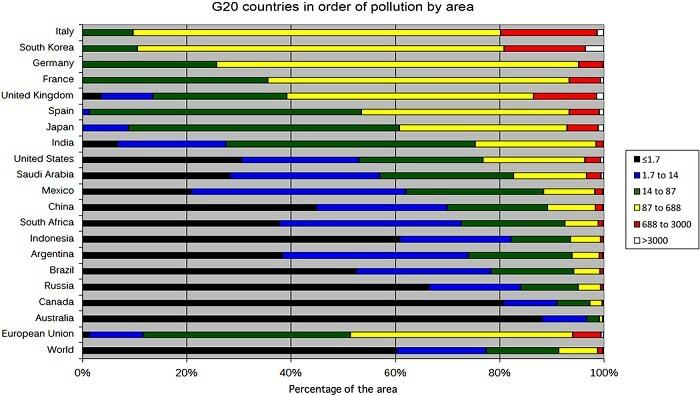 The results presented here demonstrate that light pollution is a global issue. Most of the world is affected by this problem, and humanity has enveloped our planet in a luminous fog that prevents most of Earth’s population from having the opportunity to observe our galaxy. This has a consequent potential impact on culture that is of unprecedented magnitude. Moreover, light pollution causes global ecological consequences, poses public health issues, and wastes energy and money. Light pollution needs to be addressed immediately because, even though it can be instantly mitigated (by turning off lights), its consequences cannot (for example, loss of biodiversity and culture). Fortunately, techniques to substantially reduce light pollution are already known, and some of them have already been implemented at a relatively large scale (for example, Lombardia and most other Italian regions, Slovenia, two regions in Chile, and part of Canary Islands). and strongly limiting the “blue” light that interferes with circadian rhythms and scotopic vision. These aspects need to be taken into consideration when new projects are being planned. Especially for conversion from traditional bulbs to LED technology like, for example, in Milan.